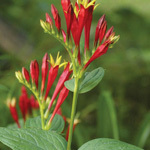 A very good plant for hummingbirds. Grow in shade or sun. You can cut the plants back to the ground after they finish blooming; new green foliage will regrow and remain until the first hard freeze. The roots have been used medicinally. 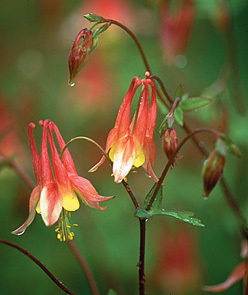 Columbine seeds have been used by Native Americans to treat headaches and head lice and to become more "persuasive". 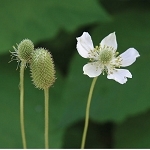 It is potentially toxic; be sure to research medicinal uses and methods.